I joined Eckhart Tolle's group on Facebook a few weeks ago and was quite impressed to find a true support group. Thousands of people from around the world share their problems, and others provide insight and advice. I was astounded by the dozens and even hundreds of comments being made for each post. Eckhart has certainly had a huge effect on hundreds of thousands of individuals who are all looking for some version of inner peace. Some of the stories I have read are quite similar to things I have experienced in my own life which is comforting for some reason. The problem doesn't change, but the perception of it does, and it becomes more 'normalized' knowing that others are experiencing similar issues. I am absolutely impressed by the outpouring of caring and compassion these strangers are sharing with each other. The advice shared may not always be perfect, but it is at least another way to look at your problem, and for the most part, the information comes from a place of empathy. The difficulty for many of the individuals who are sharing thoughts and issues is trying to understand Mr. Tolle's concepts. The information in his books is enlightened and comes from a highly intelligent person. It is difficult to understand the path to enlightenment and finding the 'now' if you have never experienced it before. In my opinion, his information is all correct, but trying share in everyday words the points he is trying to get across is a daunting task. The books explain how to live in the 'now', or the present moment. This is the end goal of the process, yet there are so many steps in between where we are now and where we need to go, that all of it can become very confusing. I will do my best to give an overview of what it means. When we dream of the future, we are creating illusions of what could be. We cannot predict the future therefore any thoughts we have of it are simply thoughts, not reality. When we dwell in the past, we are recalling information that we have stored, but the information is no longer real. 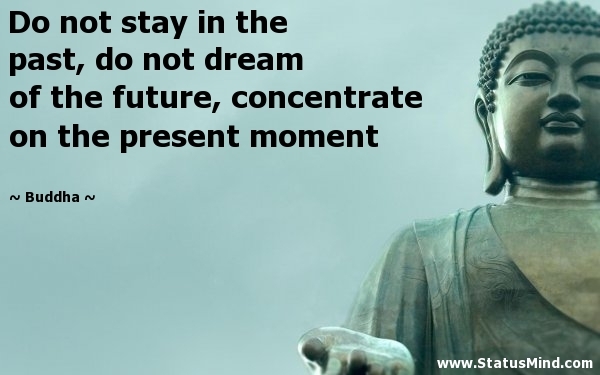 The present moment is right here in front of us. It wants our complete attention, but our thoughts of the past and future constantly try to take us from it. 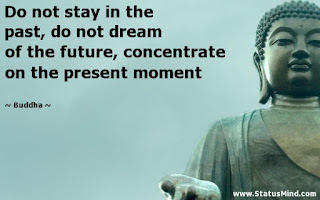 When we are daydreaming and feel disconnected from the world around us for a few brief moments, that is the 'now'. Not the thoughts or dreams in our head, but the physical feeling of simply 'being' for a few moments. The reason we want to reach the 'now', or the present moment, is because it is where peace exists. When we are living in the present moment there is no past or future, there is only what we can experience in this moment. We only have this moment, there is nothing other than that. When we are living in the present moment we are mindful of everything around us, and our thinking becomes controlled and clear. If you are looking for 'self-help' books then Eckhart's books may not be right for you. If you are looking for peace and enlightenment then they are exactly what you are looking for. Don't get frustrated trying to understand all of the words and concepts because his words are very deep and meaningful. Try to take small parts that speak to you as you read, and practice them as you go. I speak about peace, enlightenment, mindfulness, the 'now', and the present moment quite often. These are the tools and goals that will solve many mental health issues plaguing our world. I have learned much of the information from Buddhist books, but I want to make sure that I credit Eckhart Tolle for much of the knowledge I have gleaned. He is one of my greatest teachers and I hope I am doing him a credit with my logical reasoning of his concepts. Important Message to the "Awakened Ones"